Our three groups arranged to meet up at the allotment Sunday morning at eleven o’clock. 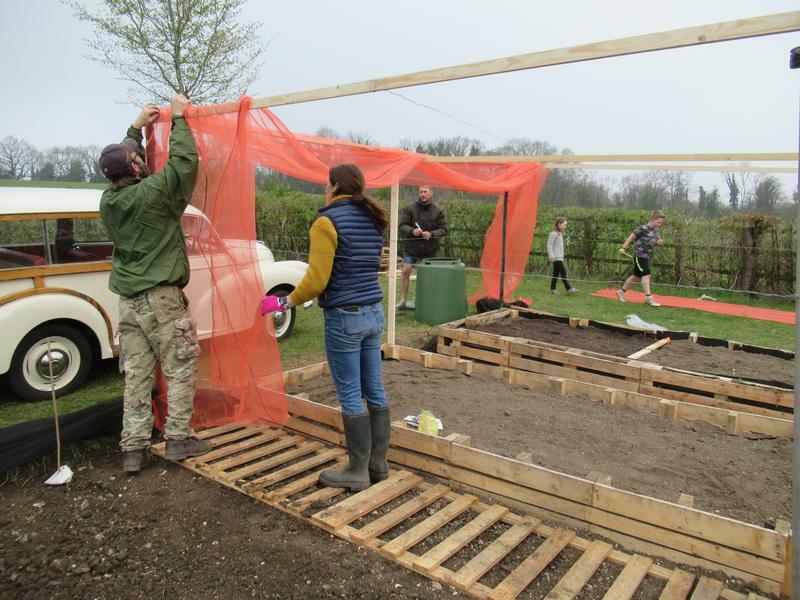 The plan was to plant everything that is ready to go outside and to get the netting around the plot to keep out the deer and to net over the raised beds to stop the pigeons eating the tender crops. 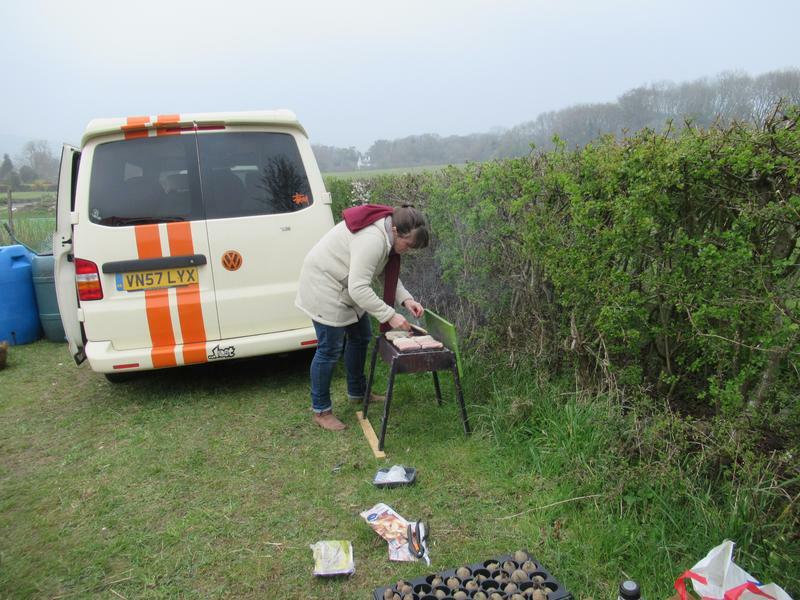 Our friends opposite were bringing a barbeque and supplying sausages and rolls and we all bought some beer and wine along. It was such a great day. We stopped to eat at half past one and finished the work at four o’clock but we got so much done and had such a good time. The sausages tasted amazing and it was good to spend time together. The children joined in with planting and watering. 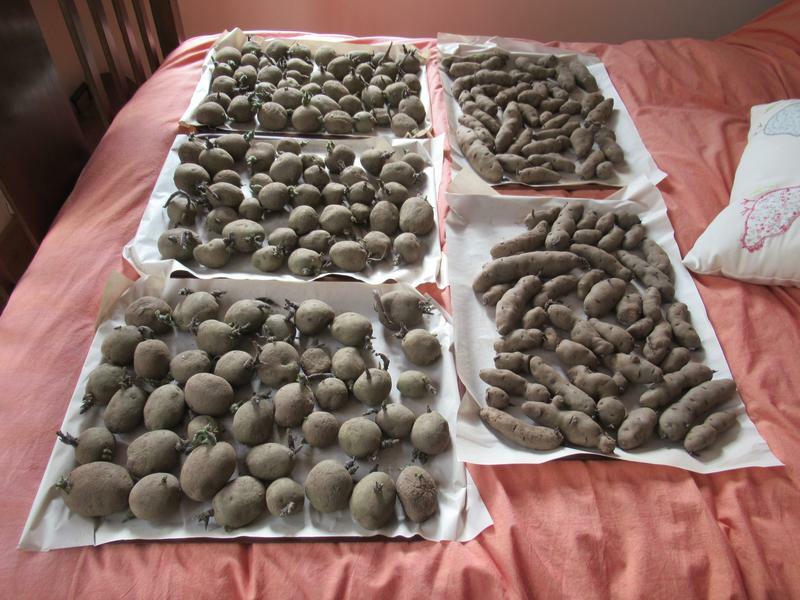 We took the maris peer and red fir apple potatoes that we had chitted. We also took white onions, red onions and garlic. We took broad beans but not the runner beans or dwarf beans as it’s too early to put them out yet. We are still hardening them off during the day and taking them inside at night. D had taken strawberry runners from the strawberry patch in his garden and had grown cabbages and marigolds from seed. We planted the marigolds around the edges of the raised beds. 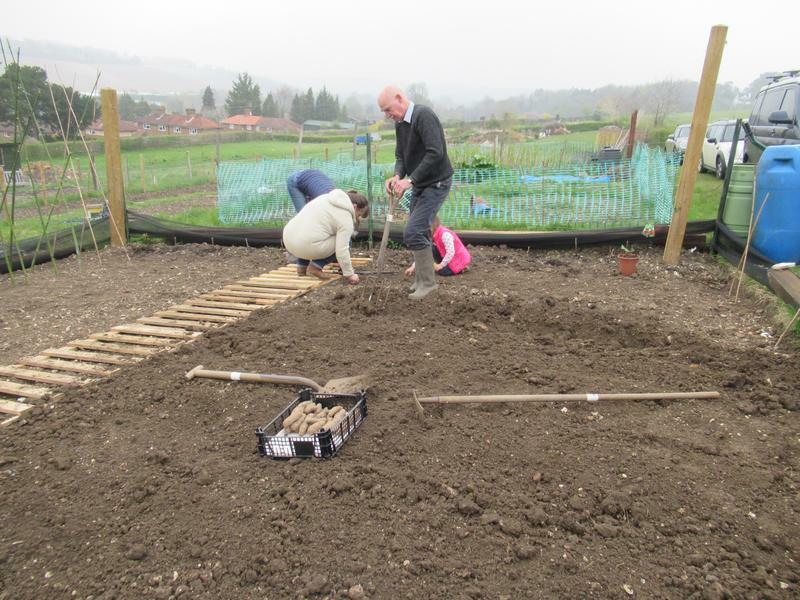 D also planted two of the raised beds with seeds for carrots, parsnips, beetroot, leeks, spring onions and spinach. 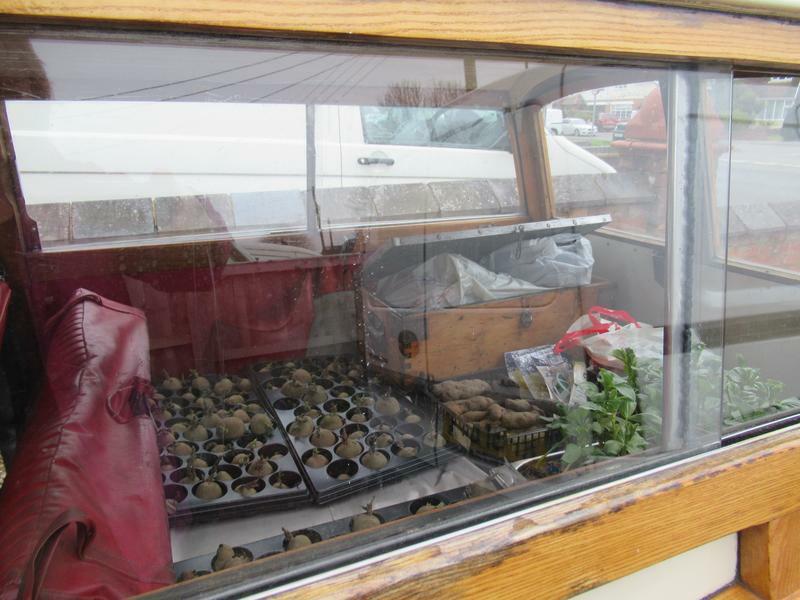 He is also growing from seed, at home, courgettes, broccoli, tomatoes and cucumbers. 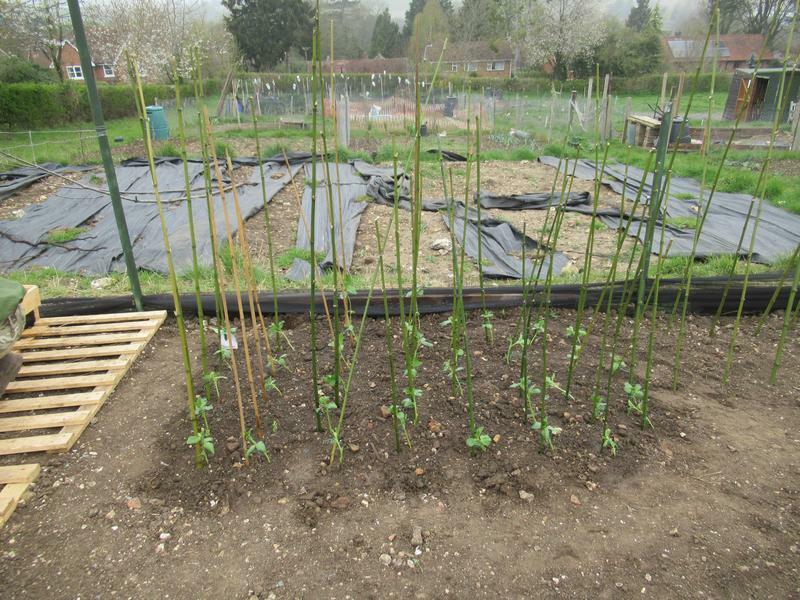 The tall canes to the right of the broad beans are in place ready for the runner beans and dwarf beans. Behind the broad beans D planted a couple of sunflowers and some more marigolds. 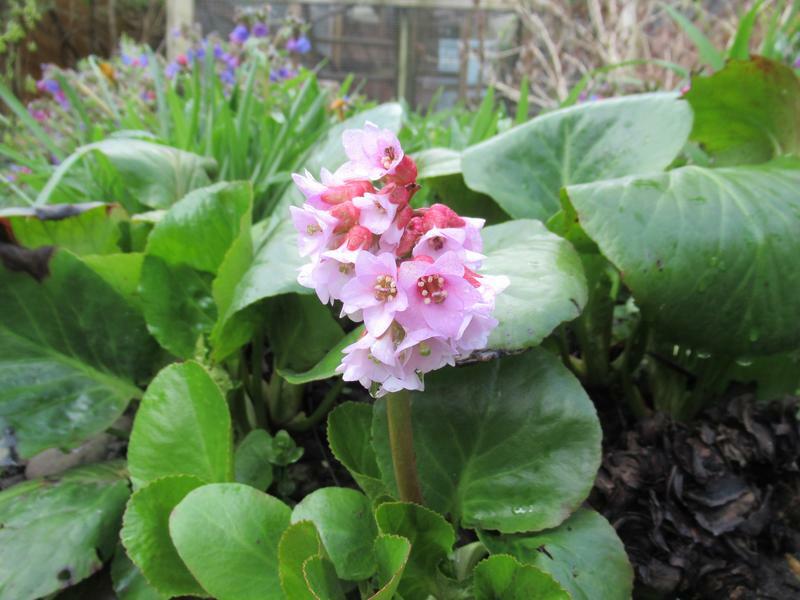 In front of the broad beans D planted a rhubarb plant. 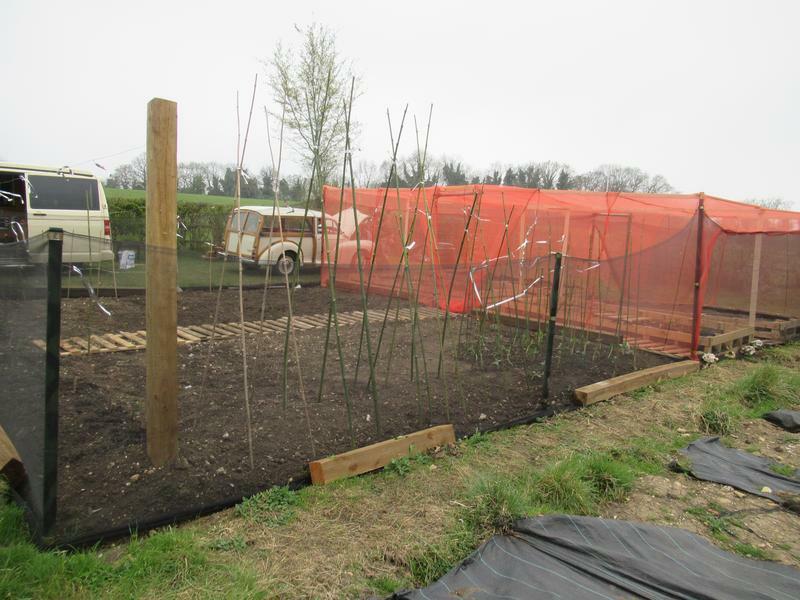 The raspberry canes were already in, supplied by T. T is going to plant a pumpkin and wants to enter the end of year veg competition. He wants to try for the longest bean, longest carrot, biggest pumpkin, weirdest shaped vegetable and tallest sunflower! 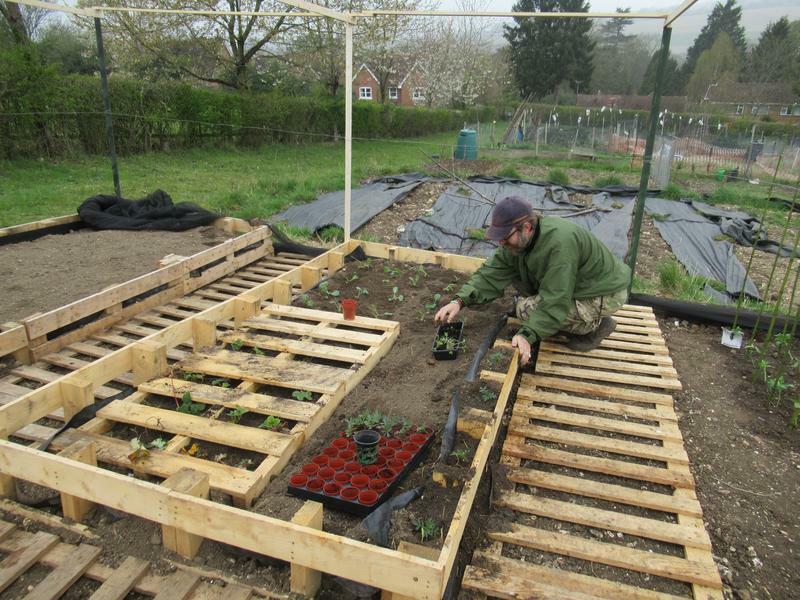 T supplied the pallets as he is able to get them from work when they are finished with them. We all contributed equally to the cost of the netting. I forgot to take a photo after the sausages were cooked when they looked delicious. The sausages were German bratwurst and tasted amazing. We were all pleased with our accomplishments and are now looking forward to seeing how everything grows. We are looking forward to spending time together during the summer with the odd barbeque and beers on some occasions. We also look forward to lots of lovely produce. 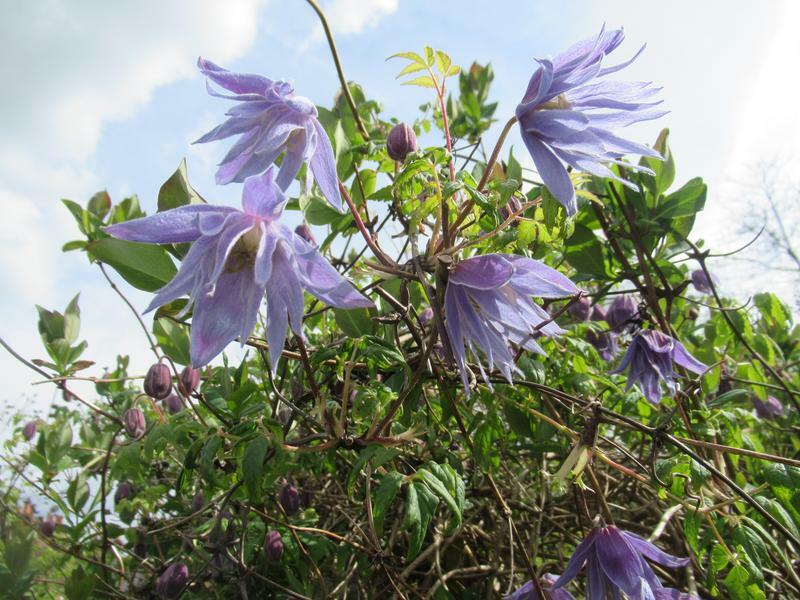 Although we keep getting a very cold wind and some showers we have also had some lovely sunny spells. It’s been that sort of weather that is warm in the sun and cold in the wind. 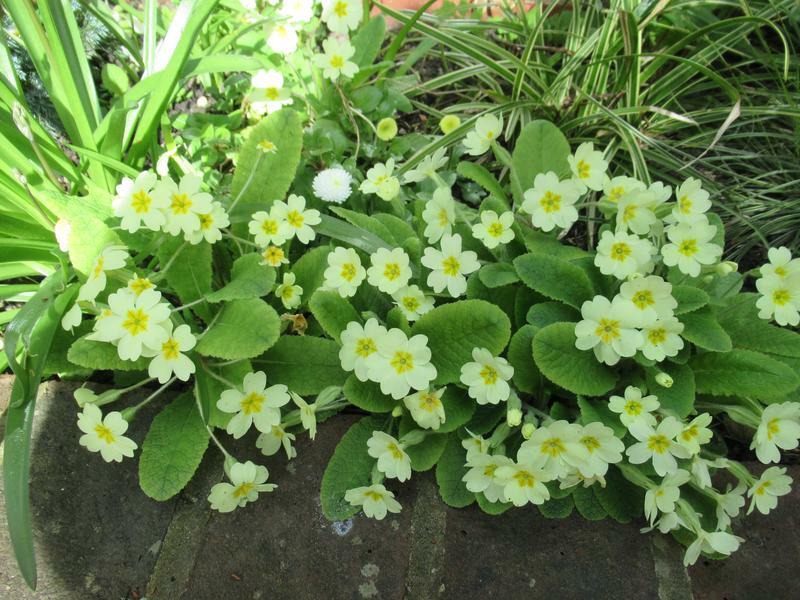 The sunny spells have bought out colour in the garden. 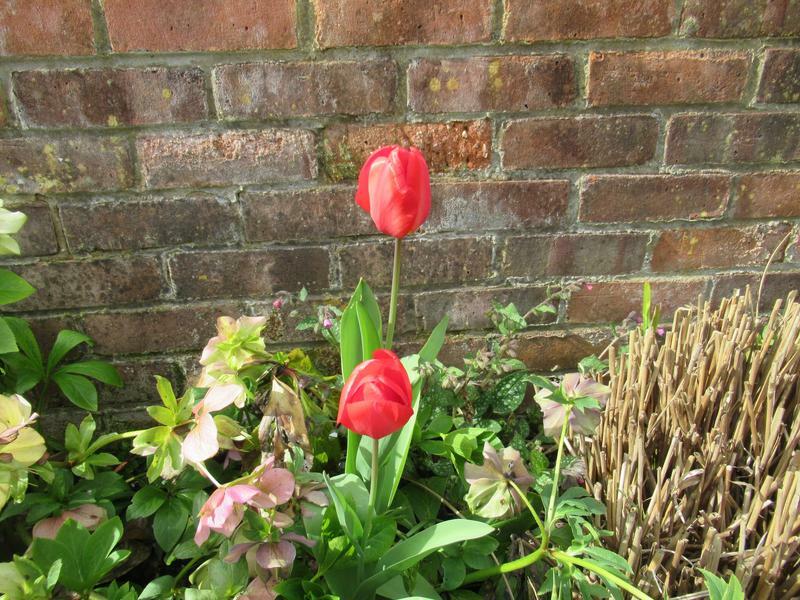 It is lovely seeing the sun bring a splash of colour to the garden. 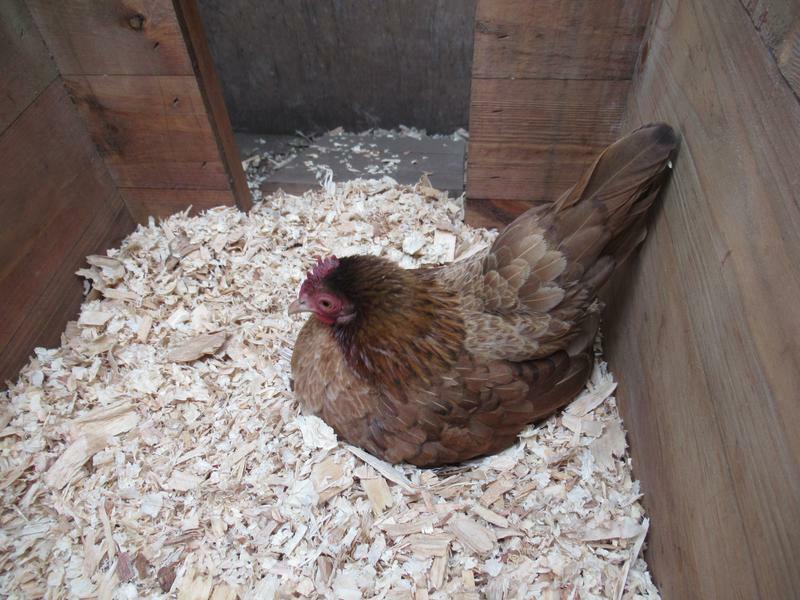 Cinnamon is the only girl that hasn’t started laying this year which is unusually late for her. Yesterday she followed Flame into the chicken shed and I thought she may be ready to lay but she just seemed to want to keep Flame company. 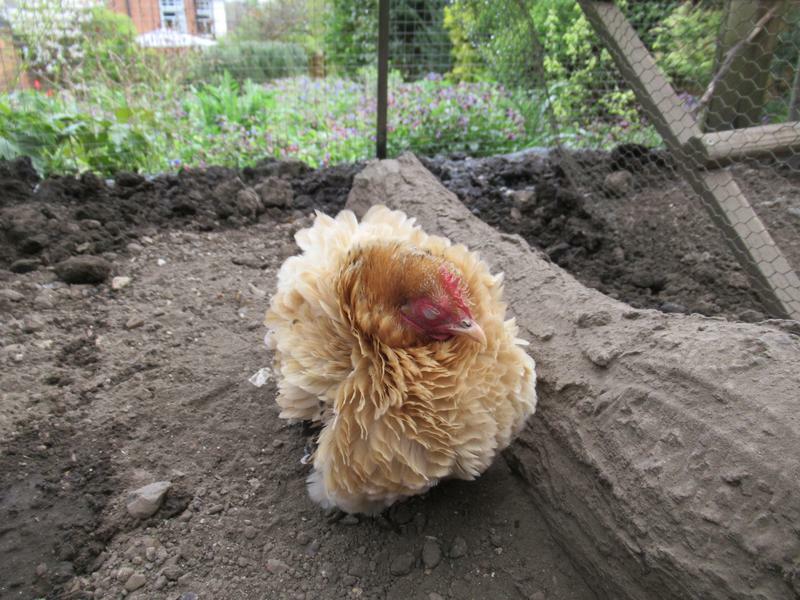 Whereas I can reach underneath Ebony and remove any eggs from under her if I try to do this with Flame she pecks me. Yet she was remarkably tolerant of Cinnamon. I thought she looked as if she wanted to peck Cinnamon but she didn’t. 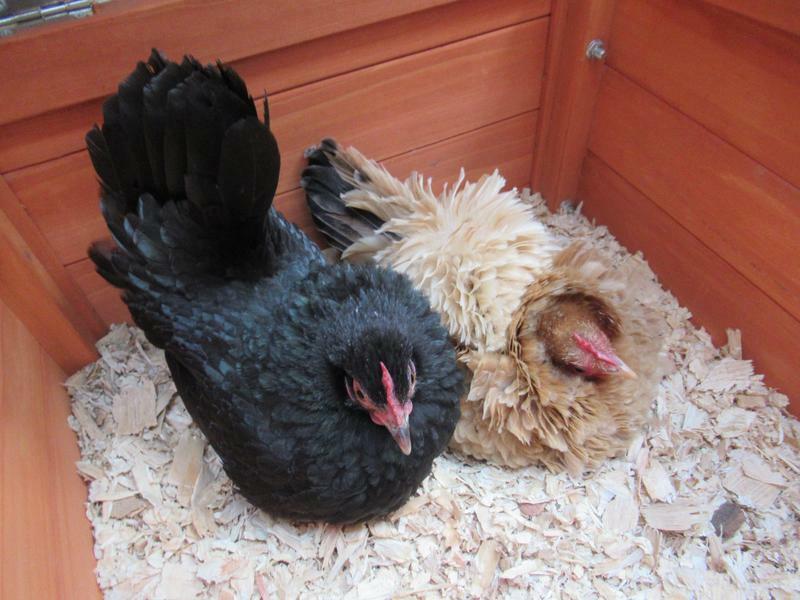 The odd thing with Cinnamon’s position in the flock is that after picking fights with the amigos and the silky girls she lost her position and they now chase her away and yet because she didn’t do this to Ebony and Flame she remains above them in the pecking order. Ebony and Flame chase all the little girls away except for Dandelion and Cinnamon. It is quite cute to see this interaction between different sized girls. 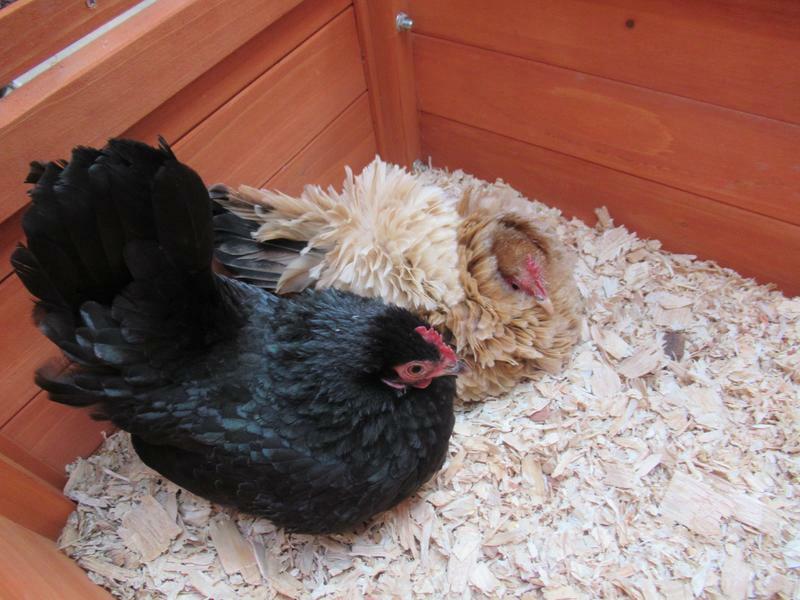 Since Cinnamon went down the pecking order she often seeks out the company of the three bigger girls. It’s as if she feels safe and protected around them. 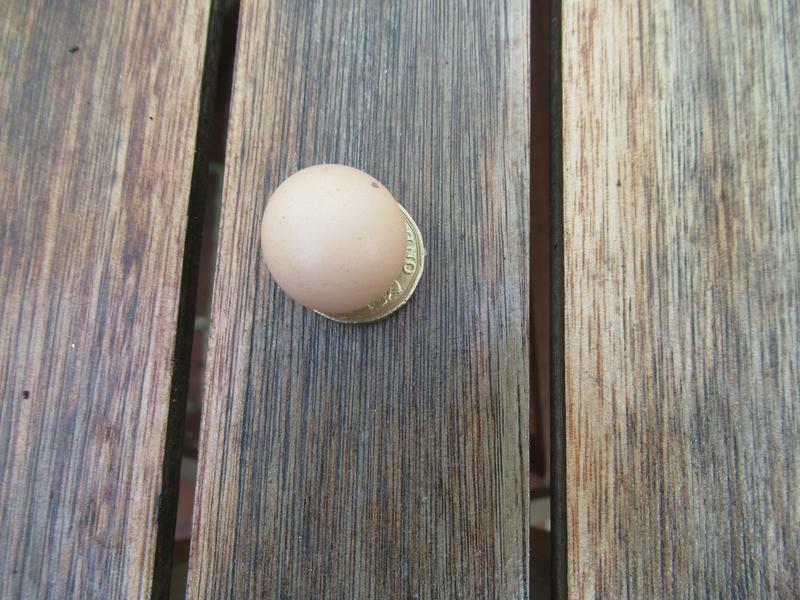 In other news Speckles hasn’t laid another egg since her first one on 8th March, nearly a month ago. I am not sure if she will lay any more. She continues to drink loads of water and do sloppy poops but looks well in every other way. Dandelion looks back to her usual perky self so that is a relief. For now the crises has passed once more and I really hope that that will be the last time this year. Today, before I had got round to putting this post out, Cinnamon finally settled in a nest box. A little later Cinnamon was back out in the run and when I checked the nest box she had laid her first egg of the year. It was her usual, quite large, size. 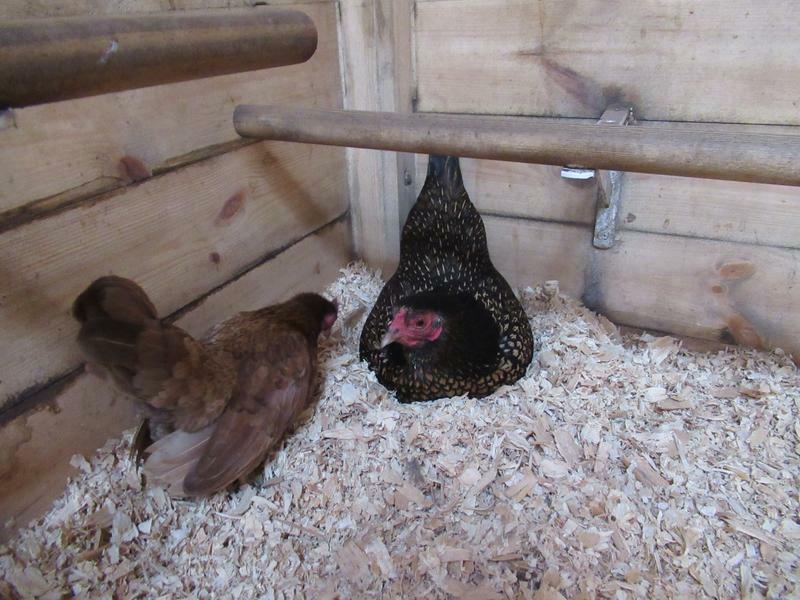 That means all the girls are now laying, at least all except Speckles, because I am not sure she can really be counted. I am glad to see that Cinnamon has laid without a problem as it has reassured me that she is okay. 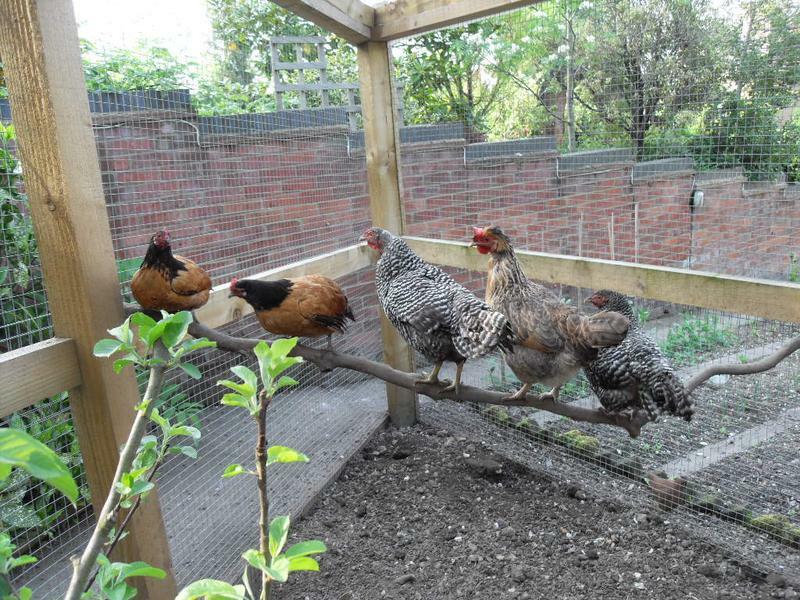 For two days Jasmine sat in her corner of the chicken shed and then on the second evening she was perched with the amigos. I was surprised not to have to lift her and she has never perched there before either. She had been sitting just behind the amigos perch so at dusk she must have just jumped up and settled slap bang in the middle of the amigos. The next morning she was out in the run and stayed out all day. Two days and Jasmine has snapped out of it just in time to make way for the next broody girl. Marmite is now broody. She had been in the nest box for half the day so I lifted her. 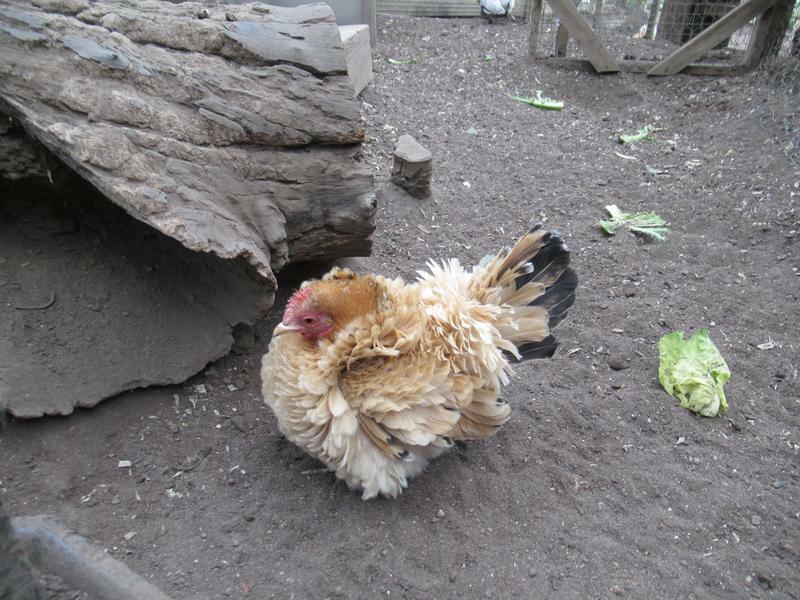 Her tail went up and she made the broody sound. I put her on the patio and she didn’t move. I put her in the run and she went to the food dish and then straight back into the nest box. At least Marmite is a docile broody girl and she makes no attempt to peck me. Late afternoon I lifted Marmite and there was an egg. 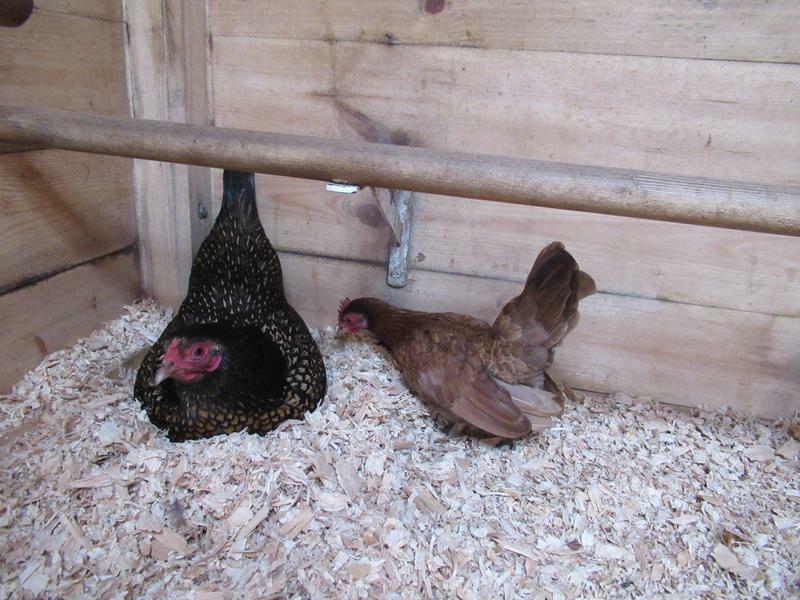 The current broody girls sometimes lay a last few eggs after they have started going broody. At bedtime Marmite was back in the nest box and I lifted her out and put her on the perch in the chicken shed. I shall have to go back to closing the nest boxes at bedtime. Oh well, I suppose at least they are going broody just one at a time, at the moment. 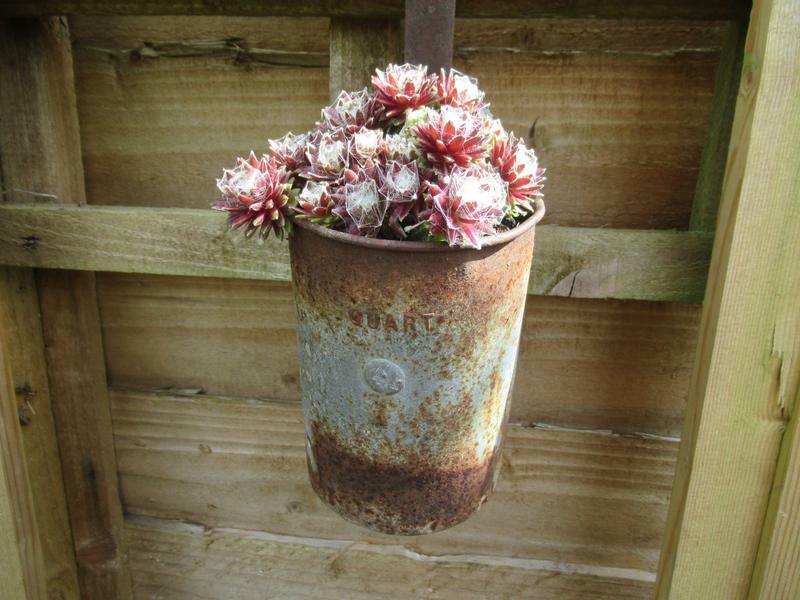 Today Dandelion has looked unwell. This morning when I gave out some sunflower hearts she wasn’t interested and I started to worry. A little later she was sitting with her eyes closed. When she opened her eyes I could see a thin crust around her eyes. It looks like the dreaded mycoplasma again. I decided to put the flock back on tylan again. I put tylan water in both water dishes and made up a dish of mash with tylan water. Dandelion started laying a week ago and had laid four eggs laying every other day. She laid her fourth one the day before yesterday so I was surprised to see her like this again. Usually it doesn’t stop Dandelion from eating and drinking so she soon gets a dose of tylan but this time she wasn’t interested. I decided to pick her up and using a dropper I dripped some of the tylan water into her beak. I thought if I could get her to take some it would start to work and then she would start to eat and drink thereby taking more by herself. A little later when I checked on her again I thought she looked a bit brighter and the crust seemed to have gone from around her eyes. I am so disappointed that Dandelion is back here again. I thought that now we were through the worst of winter and she was laying again that we would be past this. I have just enough tylan for about a week but it would have gone out of date in August anyway. I will use it up and then order some more from the vet so that I can keep it in stock. 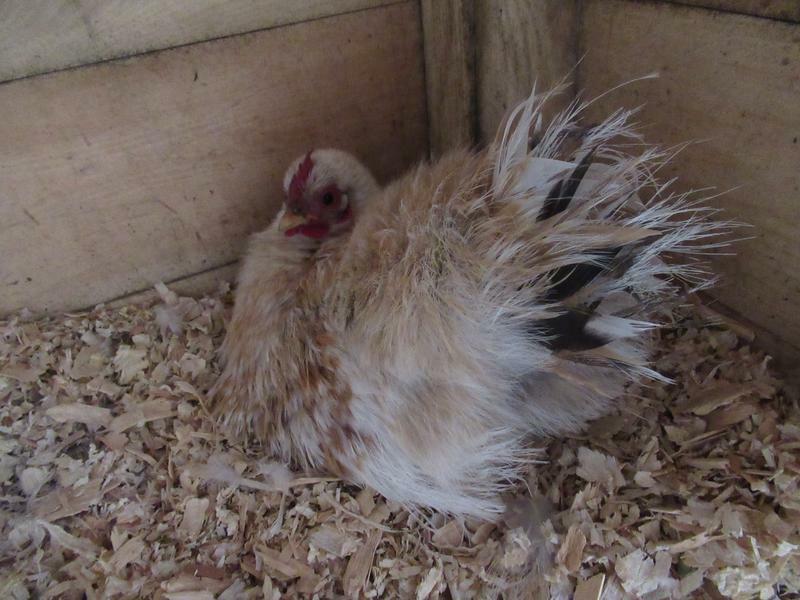 A bit later I checked on Dandelion again and she was in the nest box. A few minutes later she left the nest box and there was her tiny egg. This is her fifth egg this year and still every other day. I have got Dandelion through more relapses than any other girl we have ever had. I hope that once again Dandelion will bounce back. 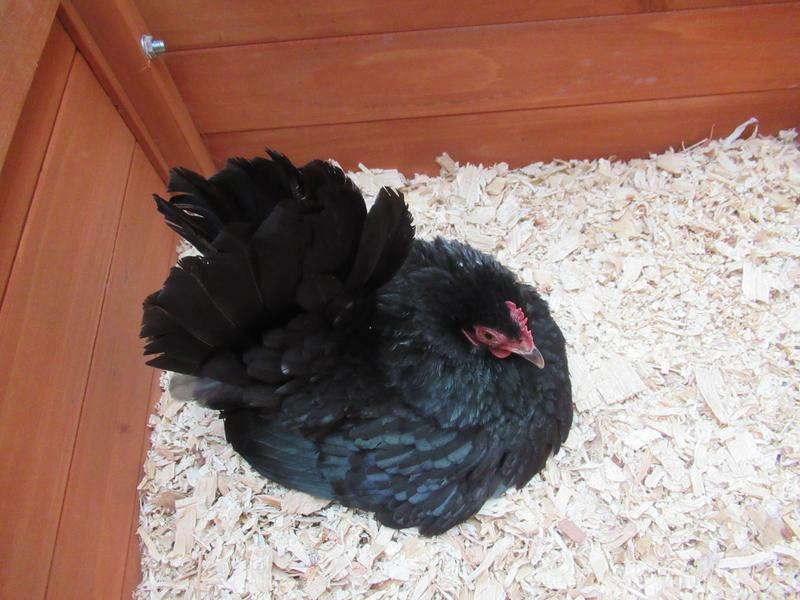 Yesterday Smoke came out of her broody spell after a week. For the past week I have lifted her from the nest box every time I have gone into the run and I have closed the nest boxes before bedtime. Yesterday morning when I went out to the girls I was surprised to see Smoke out in the run. She stayed out all day and just like that she has come out of it. It seems that each time one broody comes out of it another girl goes broody. Jasmine is now broody. 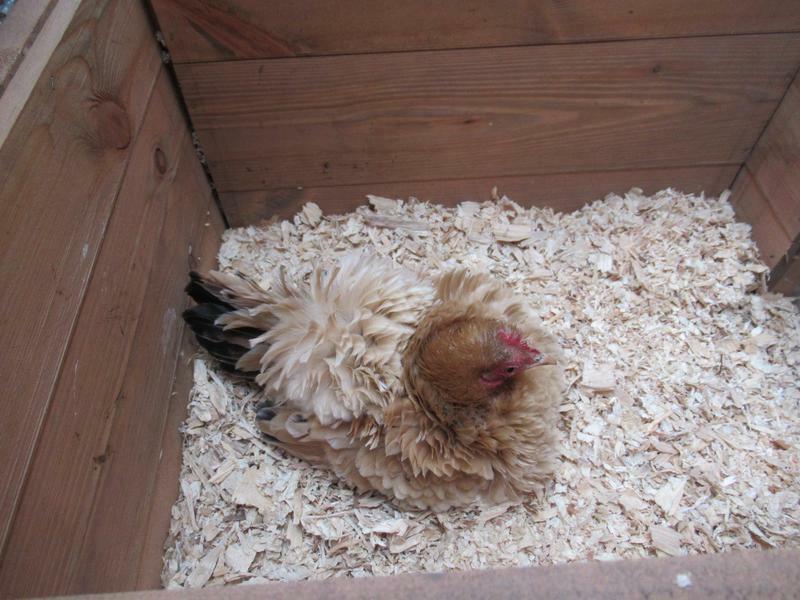 She has been laying for two and a half months and has laid twenty one eggs. The day before yesterday Jasmine laid her egg in the late afternoon but remained sitting on it. 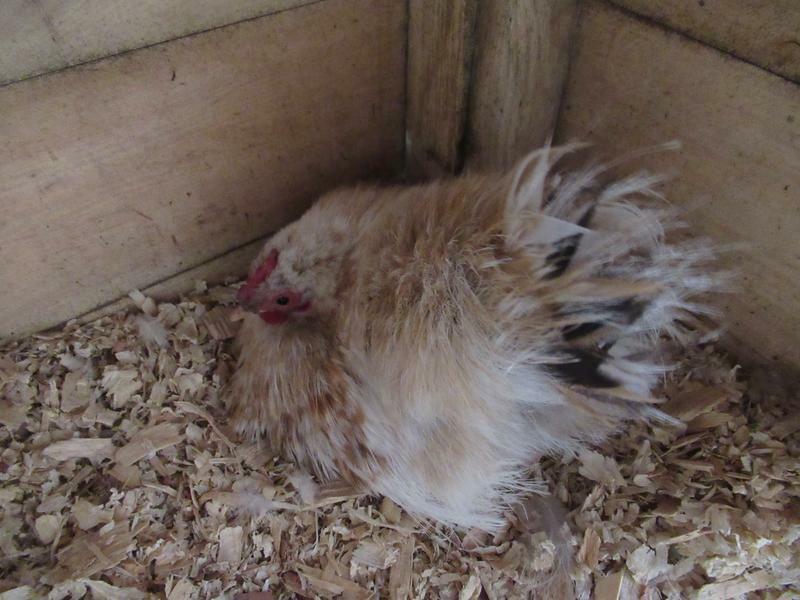 She lays her eggs in the corner of the chicken shed next to the pop hole. I lifted Jasmine and put her out in the run and removed her egg. Before bedtime I closed the nest boxes but because Jasmine likes the corner of the shed she was back in the corner at bedtime. I lifted Jasmine and put her on her bedtime perch next to Sienna. She growled at me and tried to peck me. Yesterday she was back in the corner of the shed. She was full of anger when I tried to lift her. She growled like a baby tiger and repeatedly tried to peck me. 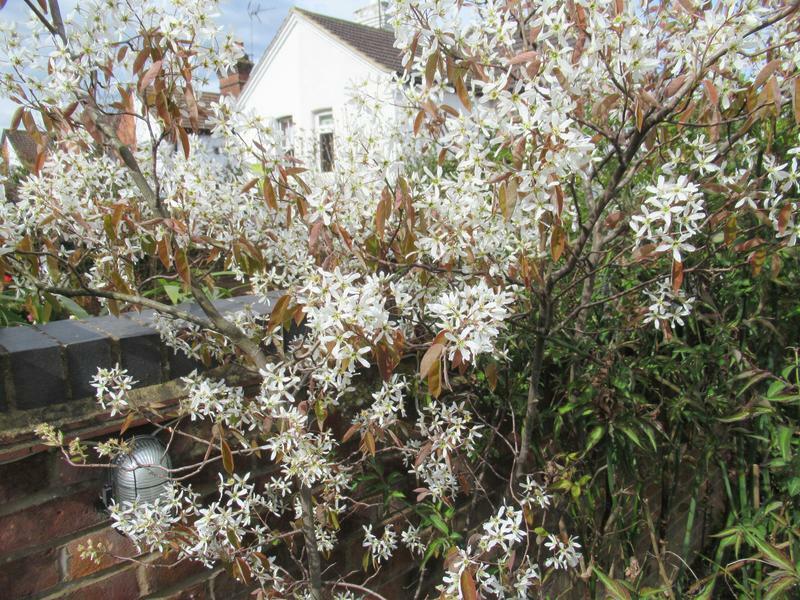 I couldn’t believe the usually docile and sweet Jasmine was so full of anger although I should know better by now. I think that I may have to just leave Jasmine to it. It is difficult to pick her up because she is facing me and is underneath the perches in the most awkward corner. She isn’t easy to get at and is constantly pecking at me. I will lift her at bedtime, to perch her, when it is almost dark but other than that I think it’s going to be too difficult to keep moving her so I will lift her a couple of times a day. There is always something! Today Marmite and Dandelion were sharing a nest box again. They have done this a few times recently. 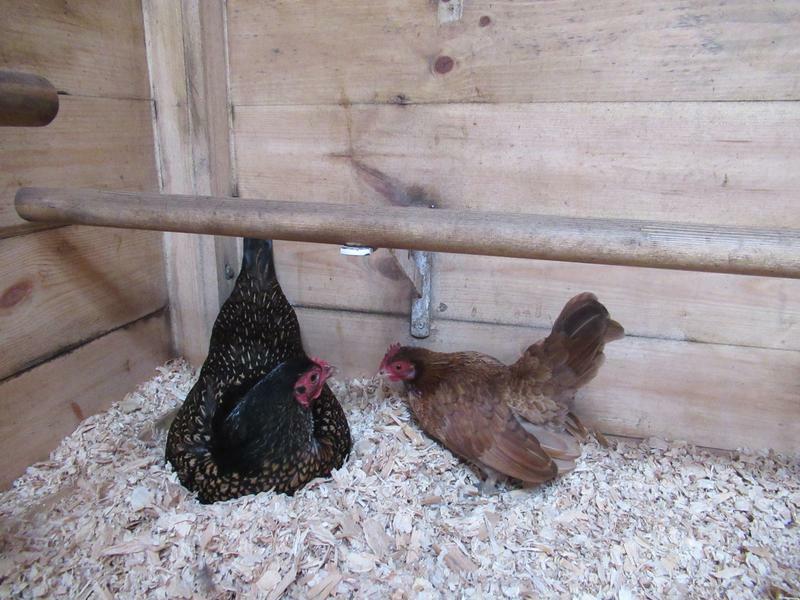 It is so sweet to see girls in a nest box together. Since the weekend we have been hardening off our broad beans and runner beans. We are putting them outside on the patio table, by the back door, during the day and bringing them back inside at night. 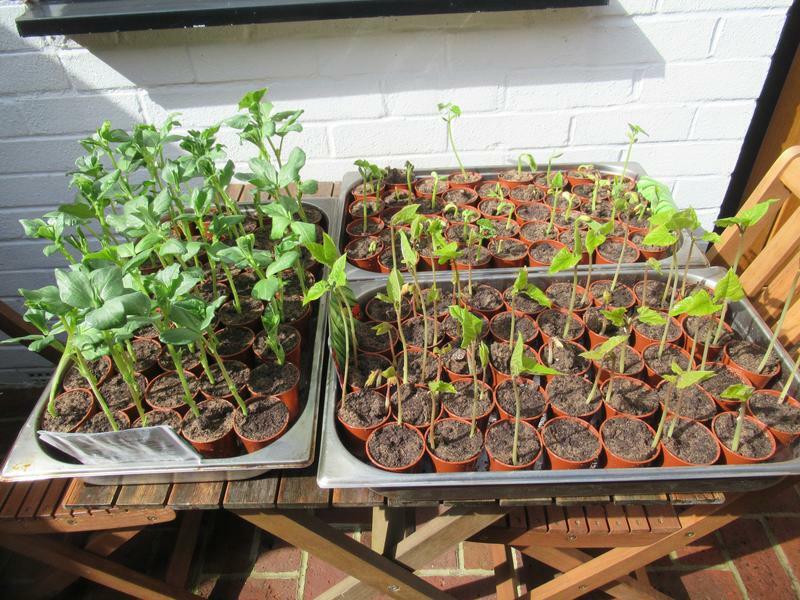 The runner beans and dwarf beans have really started to grow and are catching up with the broad beans. 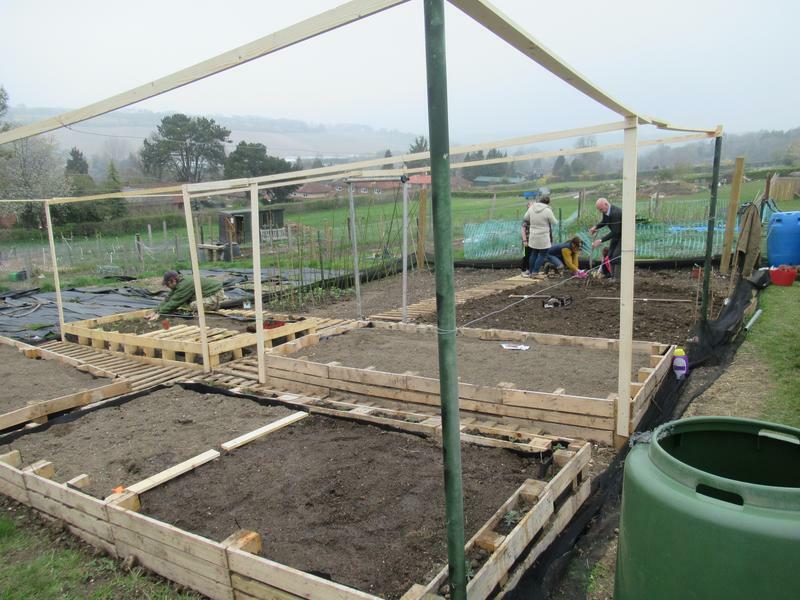 We plan on meeting up with the rest of the group at the allotment on Sunday and planting the potatoes as they are now ready to go in. We will wait a bit longer before putting the beans in. 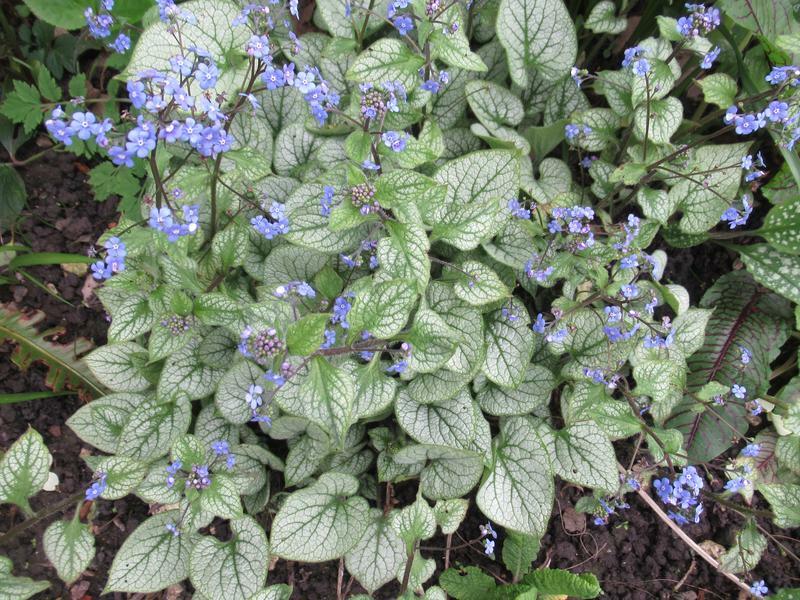 We need to be fairly certain that there aren’t likely to be more frosts before they go in. We have had a bit of frost the last few mornings. 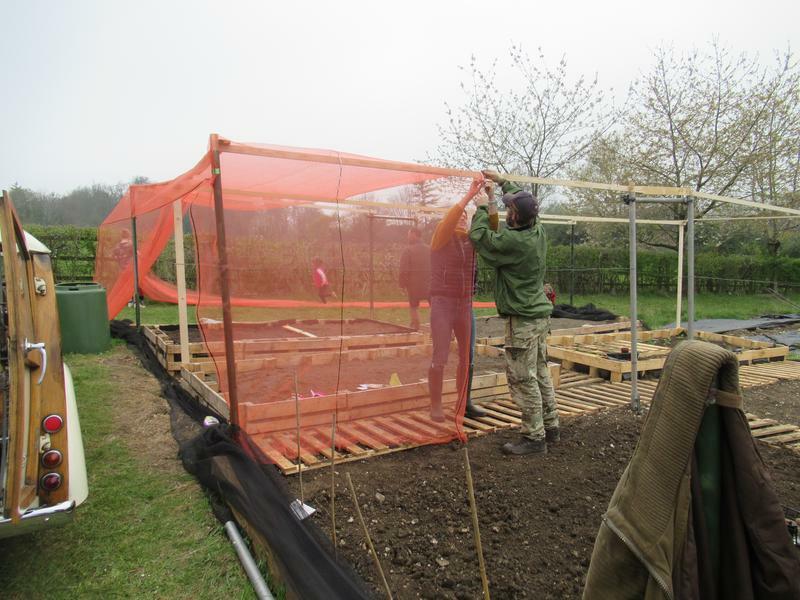 We also need to get the net around the plot to protect anything we are planting. 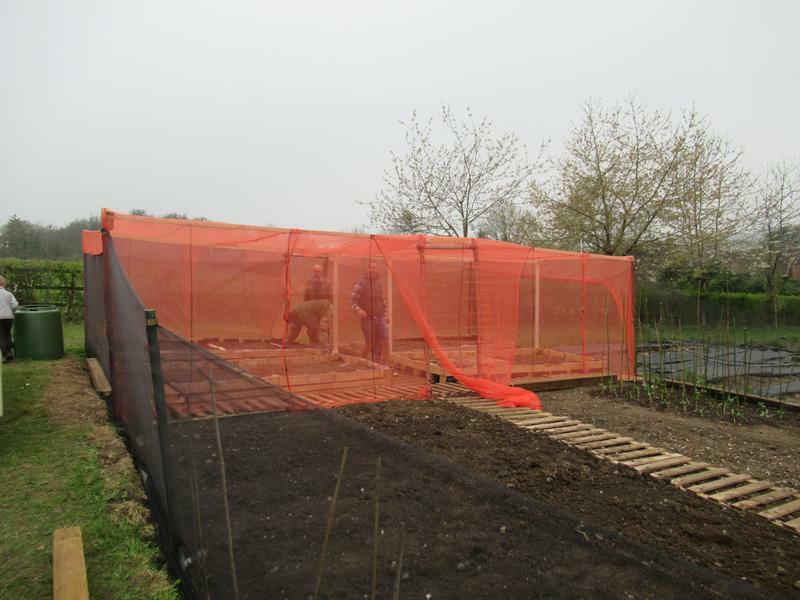 The raised beds have been filled with soil and are ready to go and putting the net up is the last job to be done other than planting. I will probably report back again after the weekend. 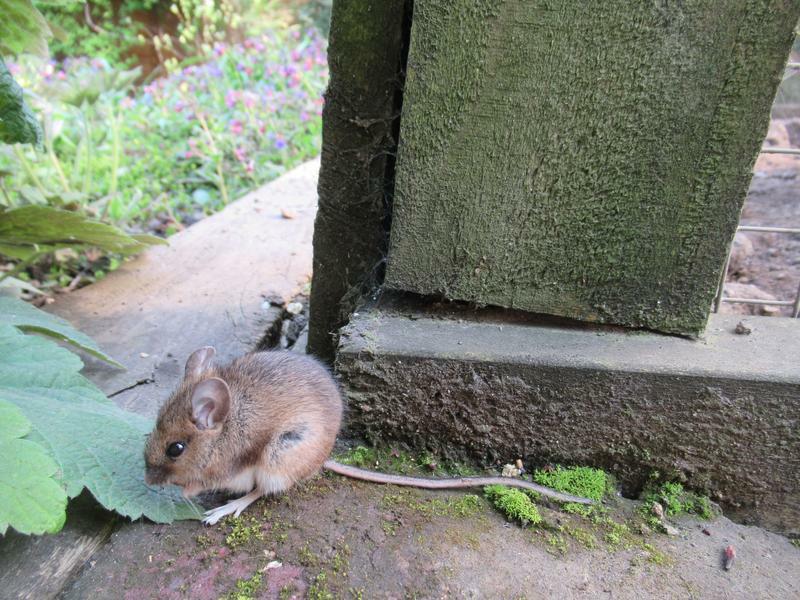 From time to time we have seen a little mouse in the garden. Last year we used to see it in the chicken run and this year we have seen it scurrying around the garden in and out of the borders. 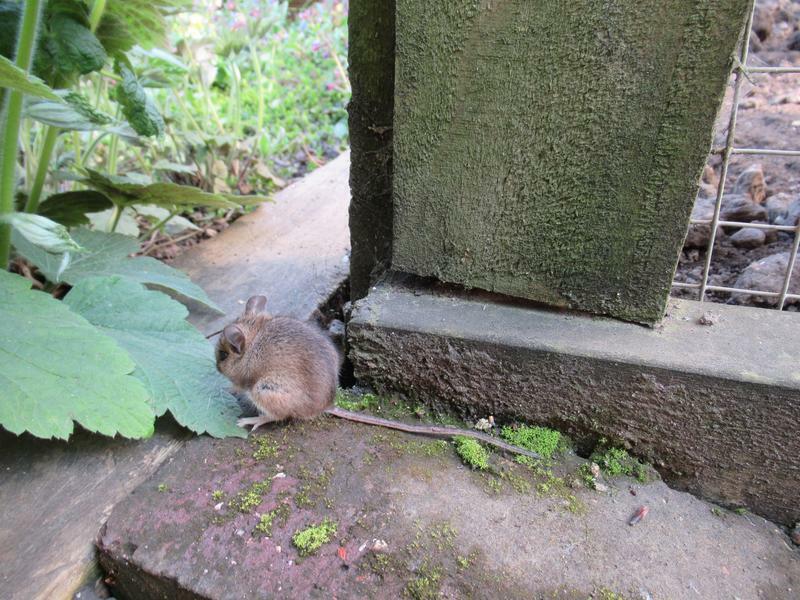 Yesterday the little mouse was sunning itself on the path and we were able to get close to it. I have been noticing bits of peanut on the path and had put them down to squirrels but am now wondering if they are bought in by the mouse because yesterday the little mouse was munching on a bit of peanut close to the chicken run. I was able to get super close to it to take some photos. Sadly we are wondering if there is something wrong with it, for it to be letting us get so close, to it. I didn’t use a zoom, this is simply me pointing the camera right in front of the mouse. The little mouse is eating a bit of peanut. It isn’t bothered by the girls nor are they bothered by it. I think because we have had a little mouse in the run, possibly the same one, they are used to each other. 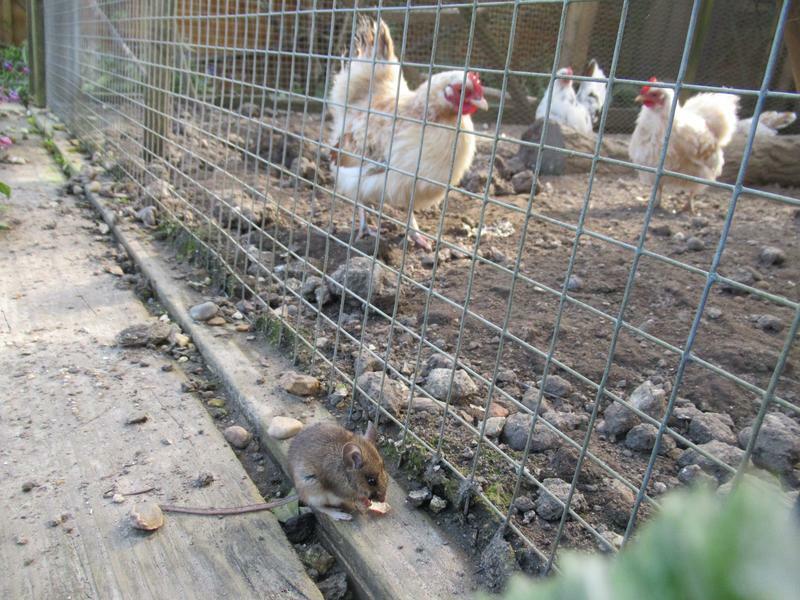 I know some chicken owners say their girls would eat a mouse but our girls have never taken any notice of the mouse. As you can see both sides are quite casual about each other. We wonder if it is the same mouse we are seeing and perhaps it is elderly. Either way we don’t fancy it’s chances of surviving much longer while allowing us to get so close to it. 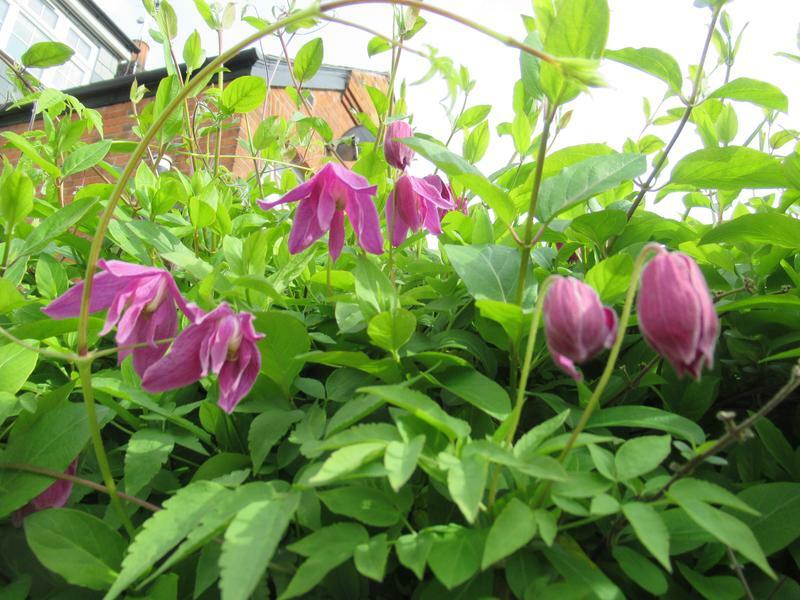 I am sure a tame mouse is not a safe mouse in a garden environment. It is lovely for us to be able to get so close but it is also worrying for the future of little mouse. 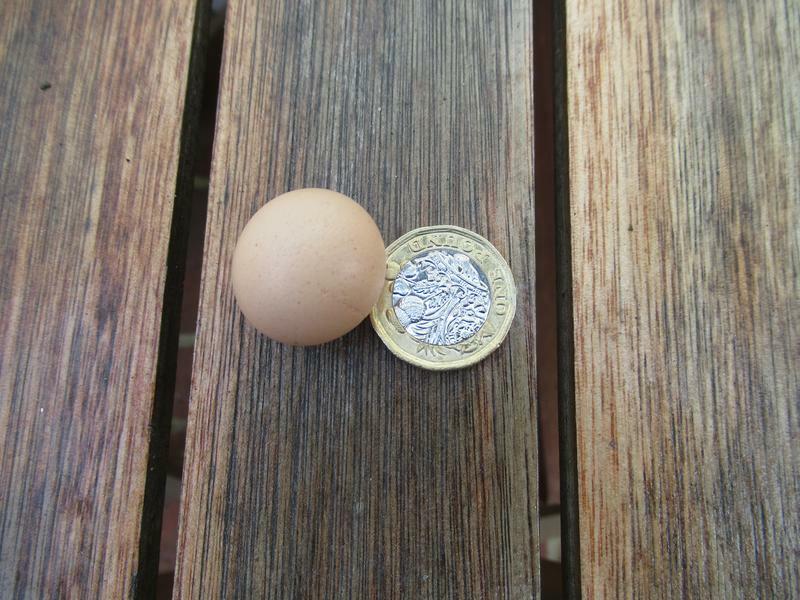 Sienna is the last of the girls from our current breeder to lay her first, tiny, egg today. She is a late starter. She must be coming up to about a year old because we got the silky girls on 20th May last year and the breeder said they were about two months old, although I think they may have been slightly younger. 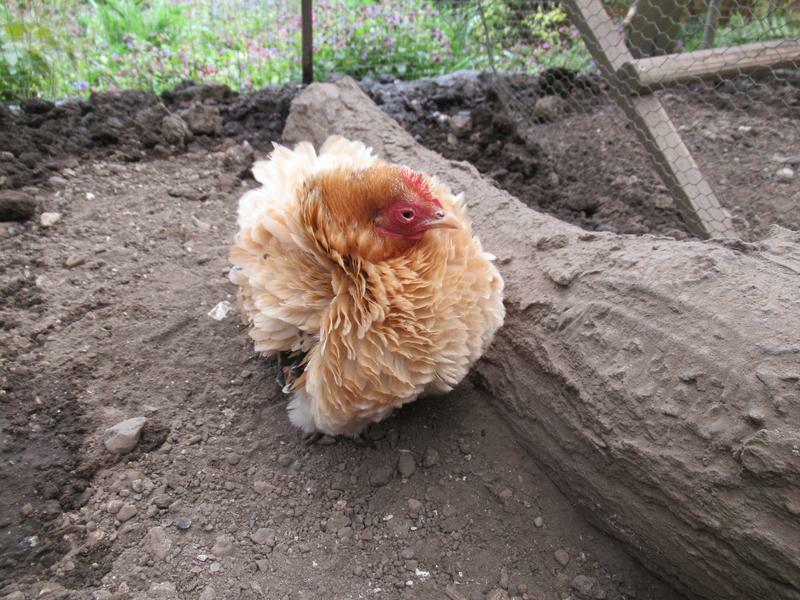 Jasmine started laying three months ago so we were beginning to wonder if Sienna was ever going to lay. We have had four of these tiny eggs from the girls that came from our current breeder so they seem to be a feature of these girls as we had never come across this before. 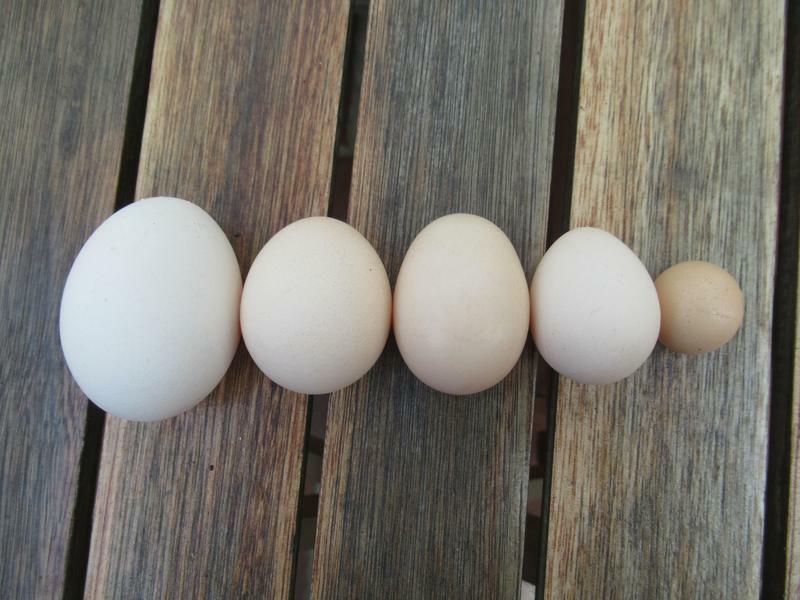 On the left is Flame’s large egg, next is Smoke’s egg to show the largest serama egg size, next is Spangle’s egg to show the average serama egg size, next is Dandelion’s egg to show the smallest serama egg size and on the right is Sienna’s tiny egg. 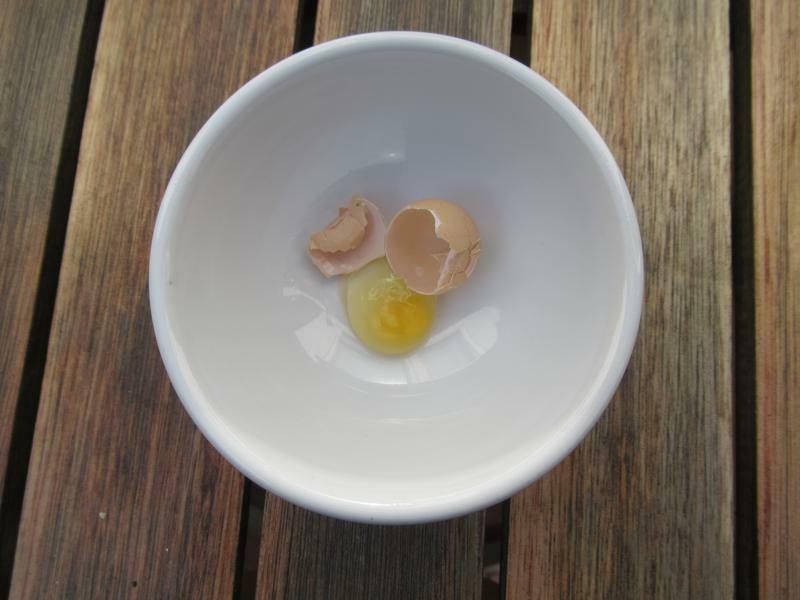 Although tiny, the egg has a good shell and a perfect little yolk. Well done Sienna!